नए साल के नए संकल्प :क्या खाने का इस्तेमाल हम अपने किसी अभाव की पूर्ती के लिए तो नहीं कर रहे हैं ? पलट तेरा ध्यान किधर है ? Being mindful when eating can help you shed pounds if you tend to nibble out of a bag of chips or a carton of ice cream in front of the TV. 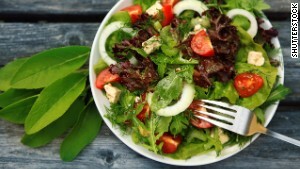 Mindfulness "can also help you reduce stress and think differently about food," said Caroline Passerrello, a registered dietitian and spokeswoman for the Academy of Nutrition and Dietetics. Being fully present around food particularly helps if you eat in response to your emotions. "It has helped my clients pinpoint why it is they are overeating, so they uncovered their source of non-physical hunger. Maybe they are hungry for more time with a spouse -- or even more time for themselves. It's often a deep thing, and eating was a way to numb their feelings. By sitting down and figuring out the root cause of the mindless eating, they achieve a more balanced life," Passerrello said. Taking a pause before your first bites can help you become more in tune with your hunger cues. "To improve mindfulness, check in with yourself before a meal or snack," Passerrello said. "Ask yourself, on a scale 1 to 10, how hungry are you? And when you're done, how full are you? A '10' is Thanksgiving full; '1' is famished." Passerrello recommends staying between a 3 and a 7. For example, if you start eating when you're between a 3 and a 5, when you are done, you might be between a 5 and a 7. "You don't want to start too hungry or too full, and you don't want to finish too hungry or too full." Additionally, turning off any distractions while eating can help you focus on the flavor and texture of food, so you are more likely to enjoy every bite you eat. Measuring mindfulness can be a daily or weekly goal. "Ask yourself, how many meals will you focus on being mindful, and then tally it," Passerrello said. You can also write down those hunger numbers in the notes section of your phone or an online fitness tracking site and then look back to see whether you were between a 3 and a 7, she added. Mindful eating apps such as Mindful Eating Tracker and In the Moment can also be helpful.